Still trying to understand the meaning of MailClark and the way to make the best of it? This article was made for you! Still not sure if MailClark actually is what you're looking for? Here are exactly the different uses you can make of it. Connect an existing email address: It can be a Gmail account, an Office 365 Mail, or any other email address connected using IMAP. 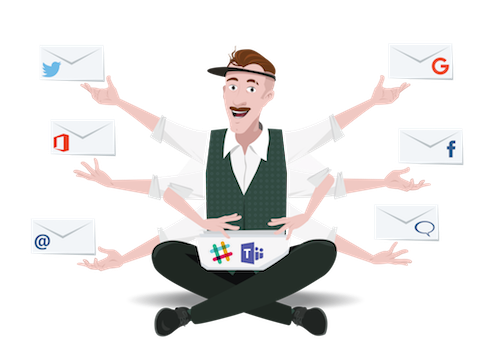 Once you've connected it, you can send and receive your emails directly from Teams adding collaboration to your emails management. Connect a Facebook page or a Twitter account to collectively manage the messages you receive on your social medias. Is it clearer now? If you're ready to get started, check this out.